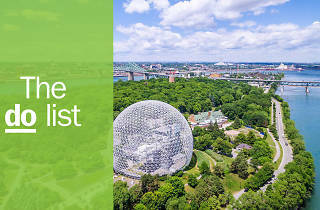 Days full of urban exploration, evenings bursting with nightlife, and all kinds of cultural entertainments in between: All of this makes Montreal one of the finest cities in the world. It’s a top destination for tourists and a daily celebration for locals spread across vibrant neighbourhoods. 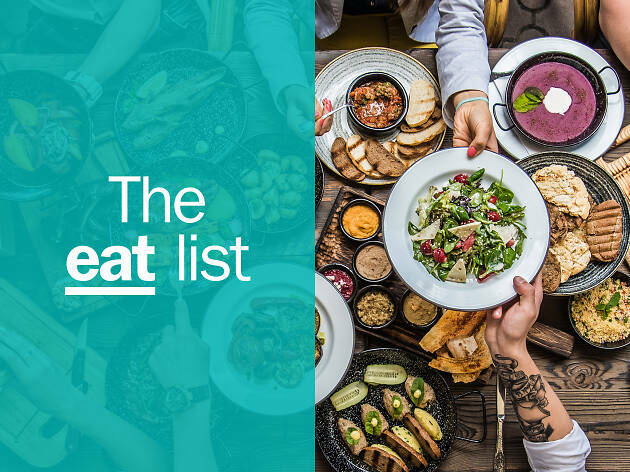 Looking for the best in restaurants, bars, activities or attractions? No problem. 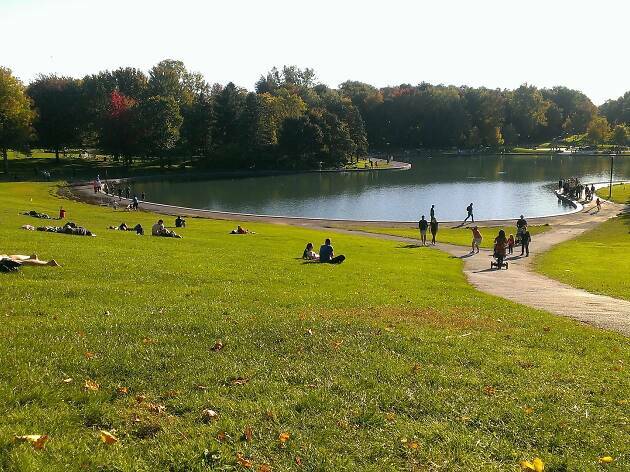 Here are the very best things to do in Montreal right now. Find out how Time Out selects the best things to do all over the world. What is it? 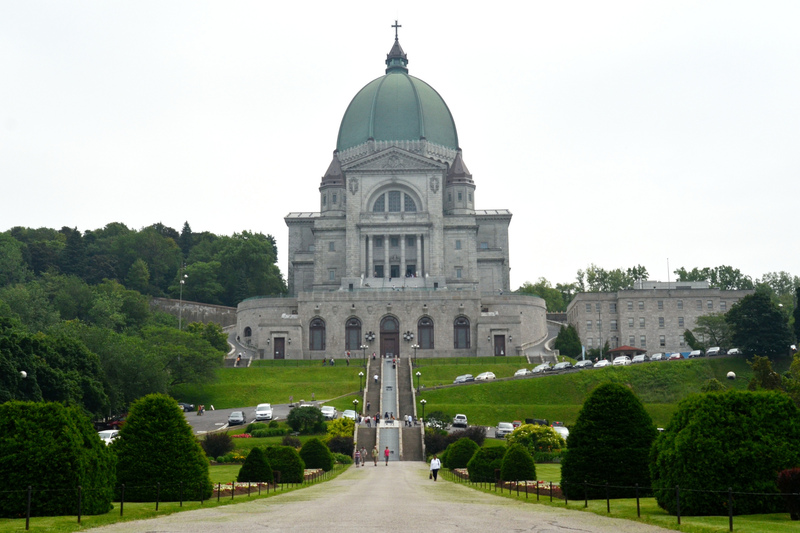 The centerpiece and the namesake of Montreal, this small mountain offers sightseeing in every direction as you explore every angle. Why go? 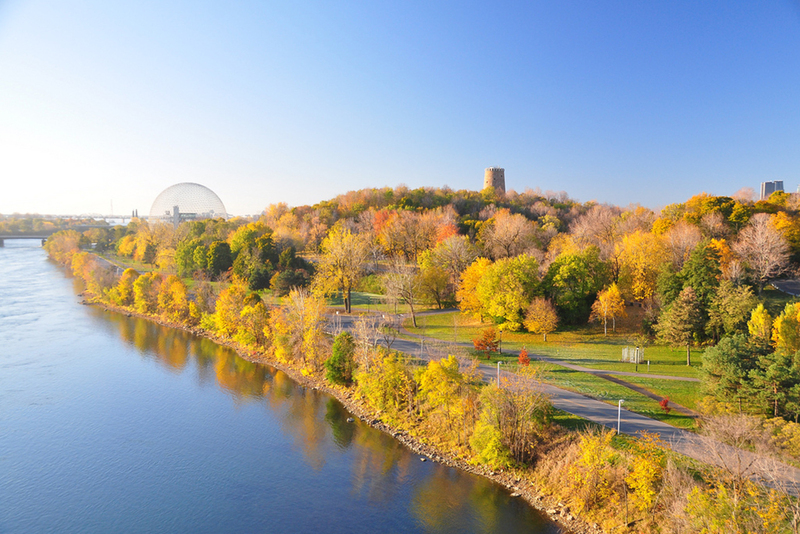 At 692 acres, Mount Royal is an expansive city park which gives a taste of the outdoors without leaving the confines of the city. Whether it’s exploring its forested pathways, picnicking in the shade, or cross-country skiing across miles of trails, every minute spent on the mountain is either an escape from the city or a sweeping view of it. 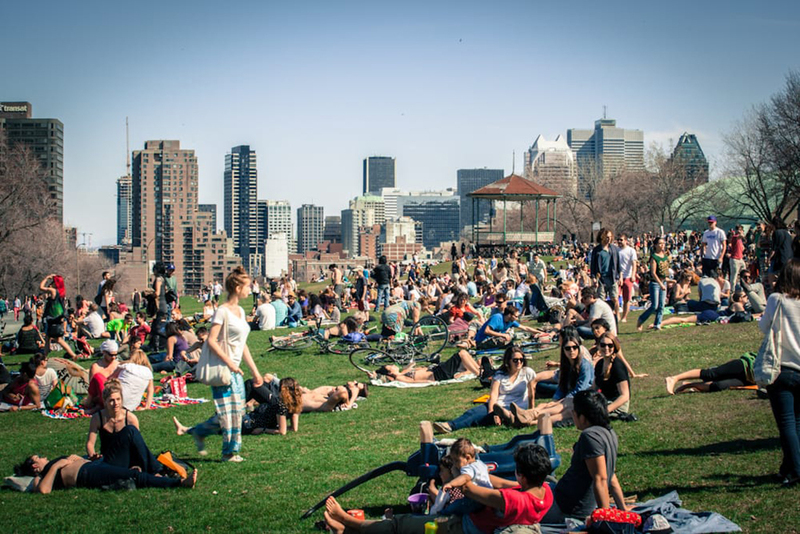 Don’t miss: Gaze out over the city from the Mount Royal Chalet all year round. Come winter, hit up the equipment rentals to enjoy skating, skiing, or sliding. What is it? 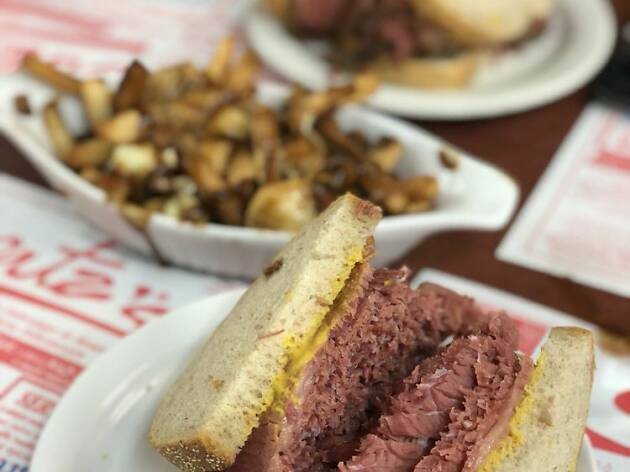 The essential addresses for Québécois and Montreal classics like bagels, poutine, and smoked meat can all be found within this youthful borough. Why go? 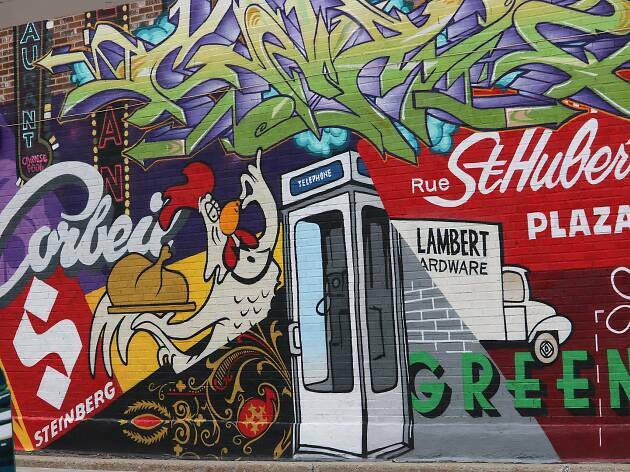 This combination of three distinctive neighbourhoods—Mile End, the Plateau, and the McGill Ghetto—is known to have the best of the best in signature dishes; Fairmount and St-Viateur for hot and fresh bagels from wood-fired ovens, Schwartz’s for Montreal-style smoked meat washed down with cherry coke, and La Banquise for poutine day or night. 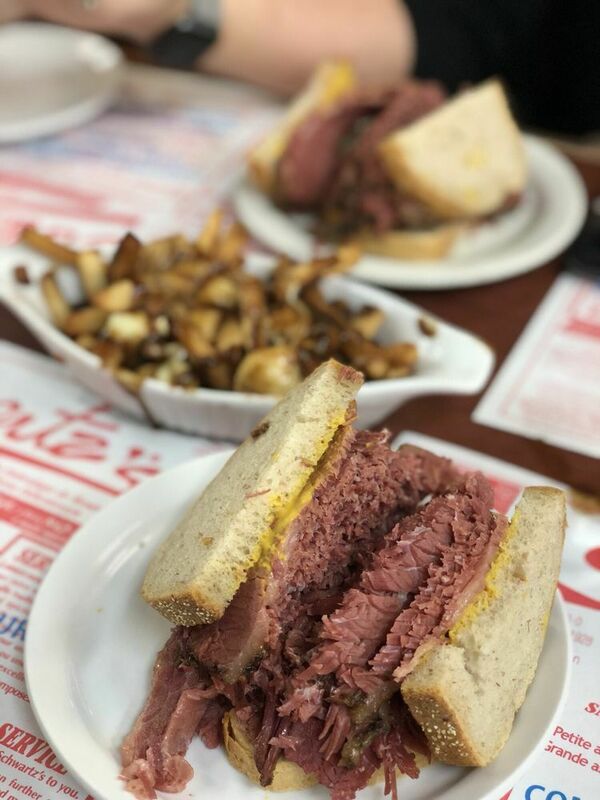 Don’t miss: Starting off or completing a historic food crawl with visiting slices of Montreal food history by noshing on a special sandwich at Wilensky’s Light Lunch or a mish-mash at Beauty’s. What is it? A huge, sprawling network of connected subterranean tunnels running throughout the downtown core with easy access to the metro system. Air-conditioned in the summer, and heated in the winter. Why go? Walking the full circuit numbers in at over 30 kilometers, so one visit to this multi-level maze is never enough. It’s a functional web of passageways to get from restaurants to malls to downtown attractions, one of the largest of its kind in the world with half a million people using it every day. 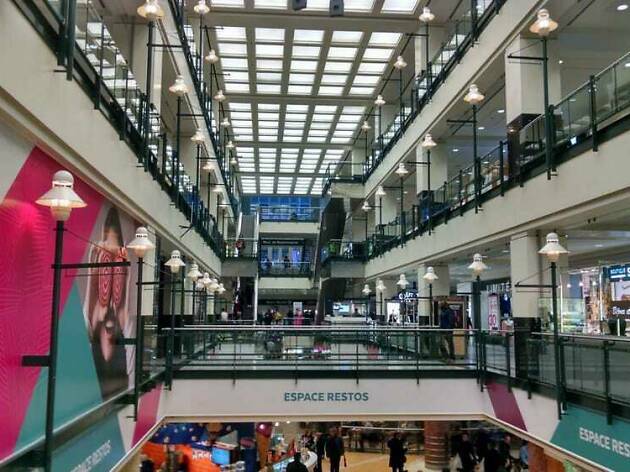 Don’t miss: The indoor skating rink of 1000 de la Gauchetière, the fragment of the Berlin wall at the World Trade Centre and Eaton Centre, future site of Time Out Market Montreal. What is it? 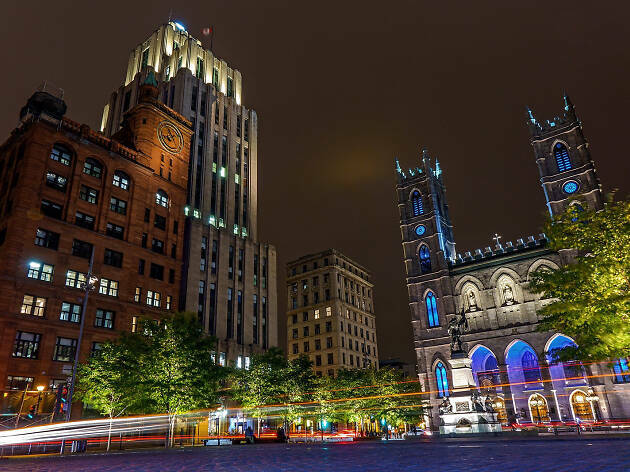 Originally established in the 17th century by the city’s first settlers of New France, the narrow cobblestoned streets and foundations here are what solidifies the European roots of Montreal. Why go? This neighbourhood looking out onto the Saint Lawrence River is at the height of opulence in the city. 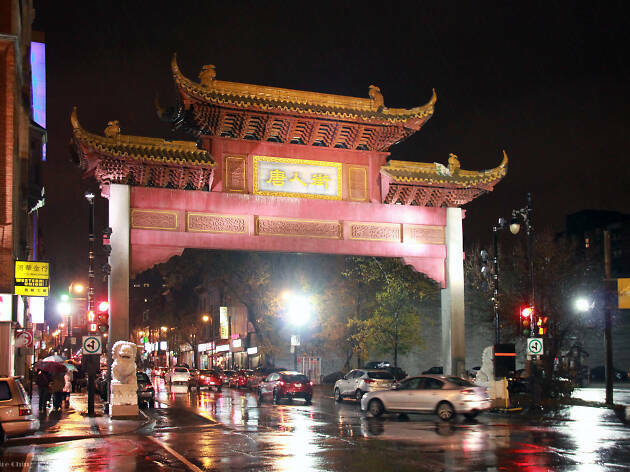 Populated with some of Montreal’s top-tier restaurants, long promenades of shopping, a handful of museums, historic structures and attractions upon attractions, there’s never a shortage of things to do by day or by night in this part of town. 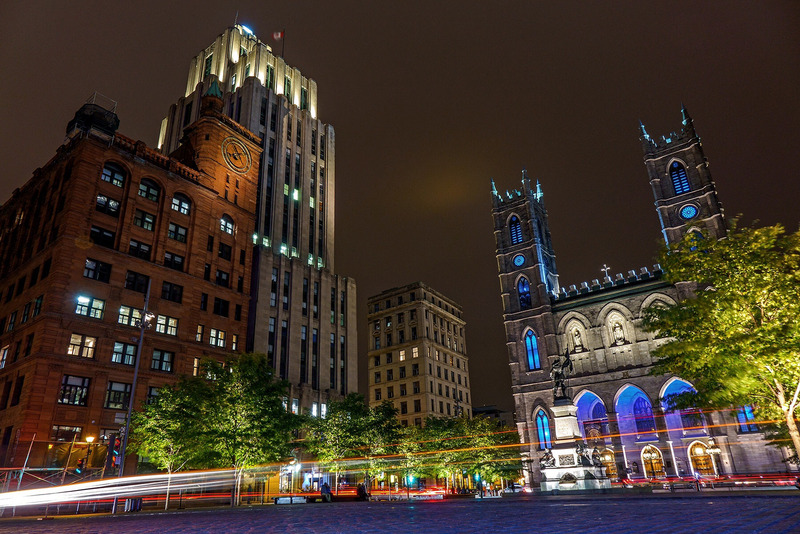 Don’t miss: The street performers at Place-Jacques Cartier, Inuit art at Galerie d'art Images Boréales, sunning at the Clock Tower Beach, or the Gothic Revival church Notre-Dame Basilica. What is it? 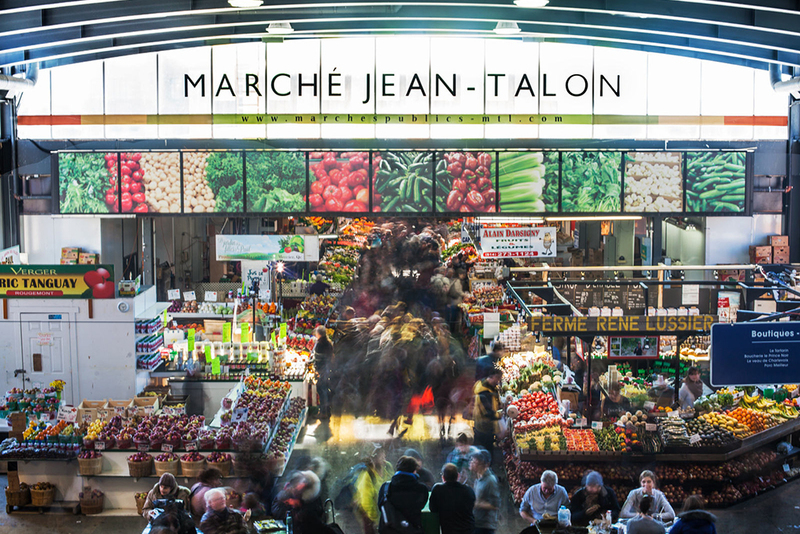 A market going back to 1933, Jean-Talon hosts a variety of local growers, fishmongers, butchers, bakers, restaurants and grocers. Why go? 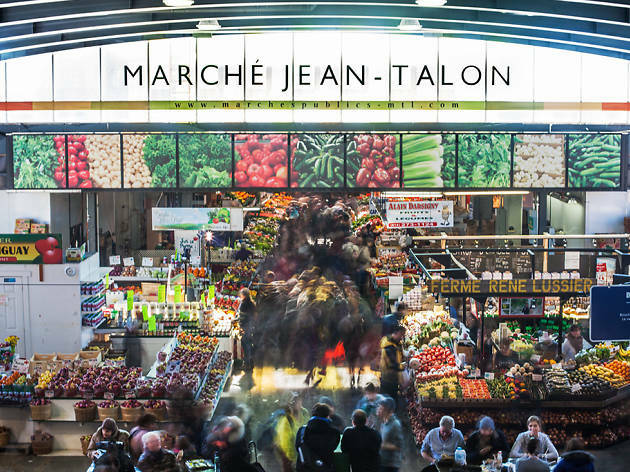 Whether it’s here or at other spots like Atwater Market, Montreal’s markets are hubs of the city’s gastronomic building blocks full of local produce and products. In the summer they’re open-air areas to explore and sample with seasonal pop-up restaurants, while the winters carry a steady collection of vendors indoors. Don’t miss: Fresh produce and sampling the charcuterie and cheeses of Quebec are the main drawcard but be sure to grab a meal at El Rey Del Taco or Le Petit Alep. What is it? An indoor zoo and aquarium which hosts recreations of four different ecosystems found in North America, plus some Sub-Antarctic Islands. Why go? 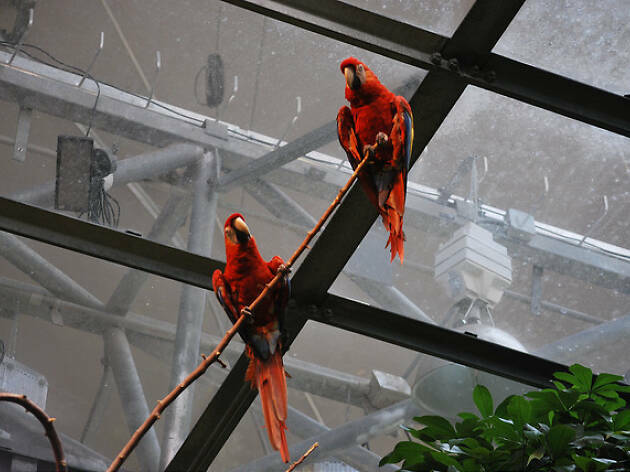 Originally built for the judo and cycling events of the 1976 Summer Olympics, the Montreal Biodome features thousands of animals from over 200 different species and 500 different plant species to explore. It’s currently renovating until late summer 2019, but a visit to its immediate neighbour of the Rio Tinto Alcan Planetarium will yield an equally fascinating time. Don’t miss: The greenery and humidity of its tropical rainforest in the depths of winter, or its collection of penguins that’s unique to Canada. What is it? 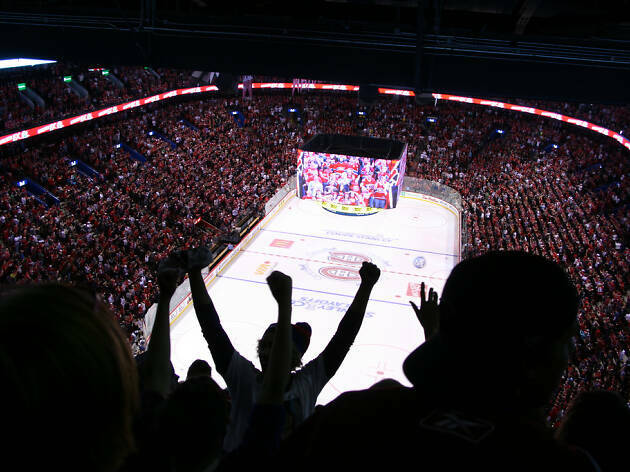 Experience rooting for the home team—the Montreal Canadiens hockey team, or Habitants from which ‘Habs’ is derived—in an action-packed and frosty blur of blue, white and red. Why go? 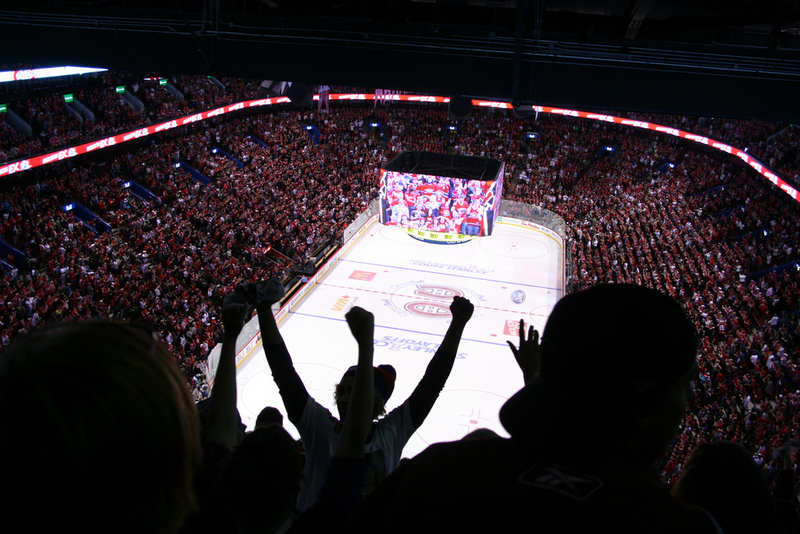 A visit to this city isn’t complete without experiencing the fandom of Montrealers screaming "Go Habs Go! ", especially when rivals like the Boston Bruins or Toronto Maple Leafs are in town. If you didn’t make it to the box office on time, don’t worry: There’s always a scalper nearby hawking at a marginal mark-up. Don’t miss: If you can’t get into the game, watch it on either the 46-foot screen or one of the 60 televisions inside the Bell Centre’s 1909 Taverne Moderne. What is it? 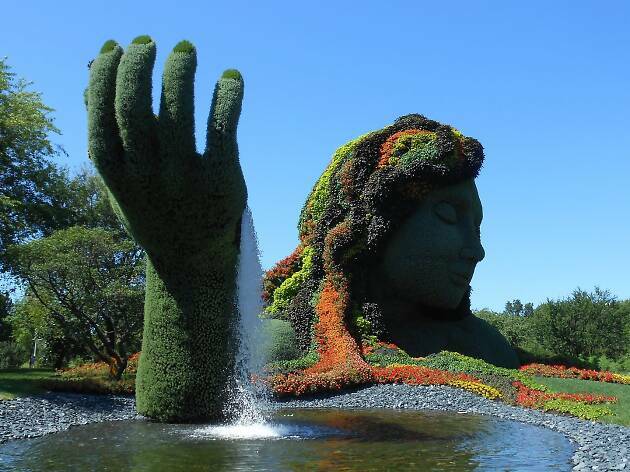 A humongous collection of plant life spread out over 190 acres of culturally thematic gardens, greenhouses, and Art Deco pavilions. Why go? Considered to be one of the world’s most prestigious collections of plant life for its sheer variety of species numbering in at tens of thousands, the Botanical Garden is one of the more cherished attractions of the city for either leisurely visits or educational trips. 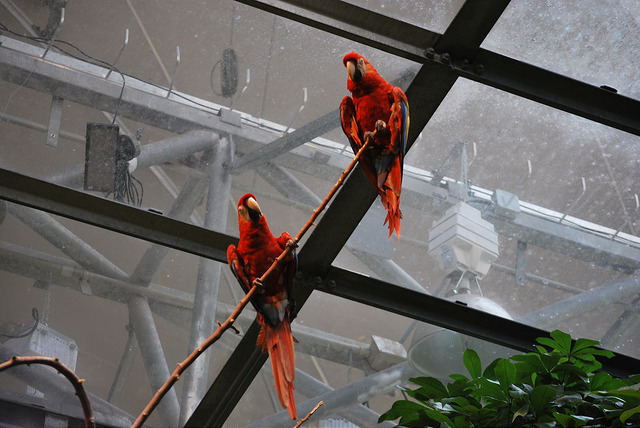 Its space also features the Insectarium, a natural history museum with 95 different species. Don’t miss: The Chinese Garden gets a lot of due attention for its Lantern Festival, but events like Butterflies Go Free in the Main Exhibition Greenhouse are equally inspiring. What is it? If there’s one thing Montreal is known for, it’s the nightlife, with DJ events and torn dancefloors across this central borough. Why go? With a legal drinking age of 18, a prominent presence of inner-city university campuses and its bars closing at 3 a.m., this city holds a longstanding reputation for being a party town most days of the week. 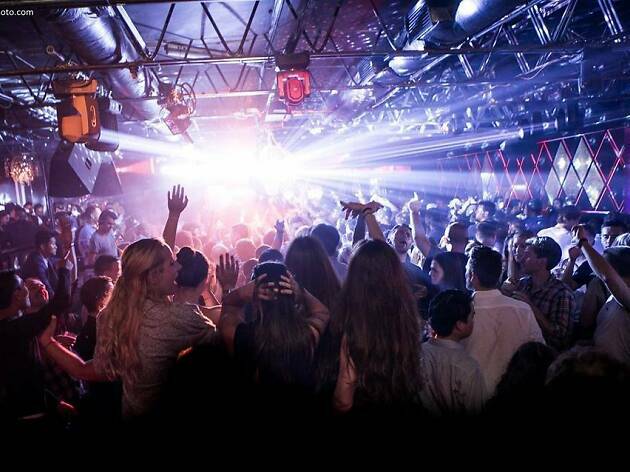 Bass-pounding joints like the underground forest supper club and nightclub Soubois are popular for spending the night, followed by the after-hours spot Stereo to literally dance until the sun comes up. Don’t miss: Visiting a stretch of bars and clubs like Crescent Street during the weekend, especially if daylight savings ends and everyone earns an extra hour of bar service. What is it? A multi-purpose stadium built for the 1976 Summer Olympics, it’s now a popular destination for both sightseeing and sports events. Why go? It’s never a bad time to climb aboard the elevator of The Big O’s 574-foot high inclined tower for a different perspective on the city. It’s also the site of events throughout the year, from breathing in the diesel of a monster truck rally to hosting both soccer and baseball matchups. Don’t miss: The First Fridays street food festival running from May to October with food trucks from around the city, and when the Toronto Blue Jays drop in for an exhibition match. What is it? 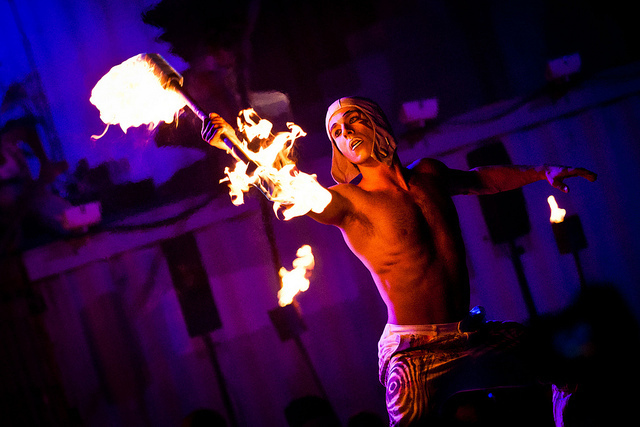 The world-famous, Montreal-based circus company that synthesizes a global set of circus styles. Why go? What started as a tiny troupe of street performers in the late 1970s has since exploded into a massive traveling circus which astounds in every respect, from costumes and comedy to acrobatics and storytelling. 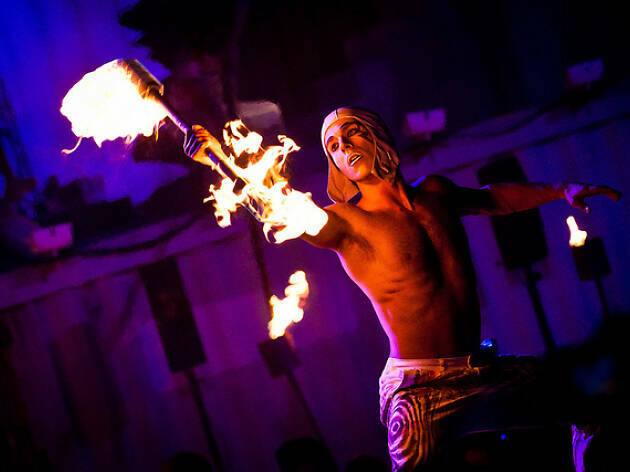 Its skills in design and performance now form regular acts in Las Vegas, while touring around the world between late summer and Montreal’s colder months. Don’t miss: Grabbing a pitcher of sangria at Terrasses Bonsecours before heading to the big top for a show at any time between mid-spring to mid-summer. What is it? 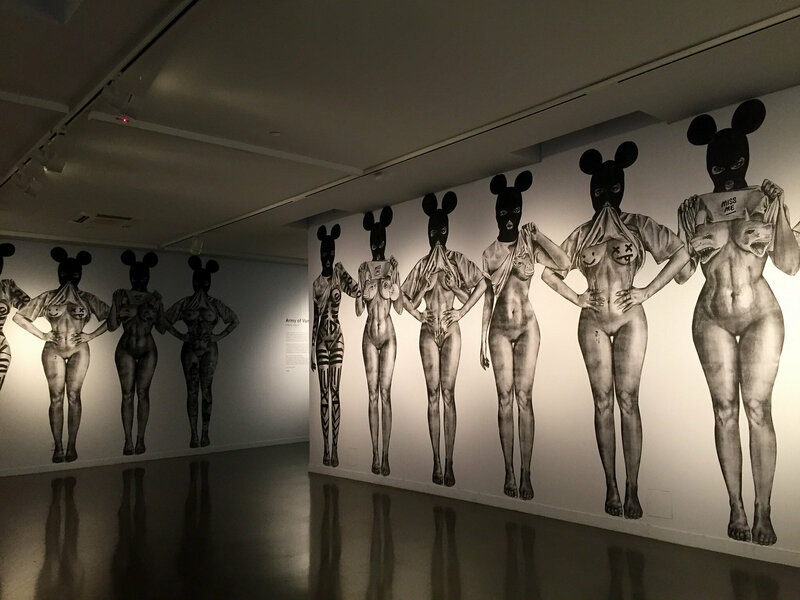 See work from local and international artists alike at this multidisciplinary arts centre with work ranging from the technically accomplished to the provocations of post-modernism. Why go? Built in Montreal by the same people behind the DHC/ART Foundation, the Phi Centre features regularly varied programming in all possible art forms both analog and technological. Whether it’s aural, visual, tactile, olfactory or gustatory, there’s always something astounding going on. Its space, built with sustainability in mind, also features a green roof, urban garden, and urban beehives. Don’t miss: Watch its calendar for the next Food Core event, where chefs and food writers give immersive presentations on building blocks of cuisine, or performances by the homegrown storytelling event Confabulation. What is it? 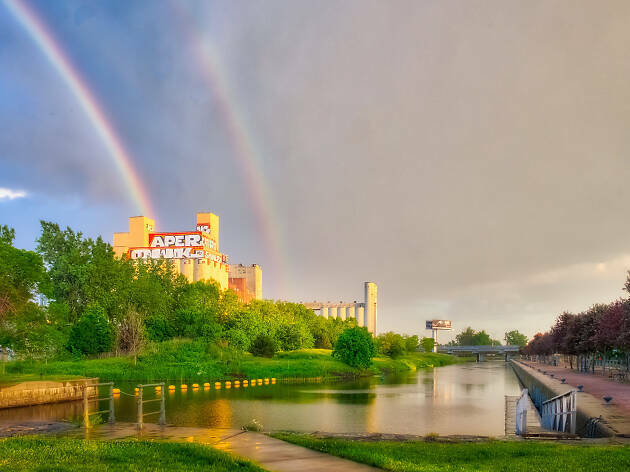 662 acres of huge green spaces, attractions, a major festival site, a high-speed racetrack and an amusement park spread out across two islands. Why go? Commonly looked to as the launchpad for some of Montreal’s biggest festivals like Osheaga, Heavy MTL, and ’77 Montreal, this park’s equally occupied with annually hosting the Canadian Grand Prix on the Circuit Gilles-Villeneuve, relics of Expo 67 like the Biosphere environmental museum, and the La Ronde amusement. Stretch your legs and see where a day’s worth of exploring takes you. 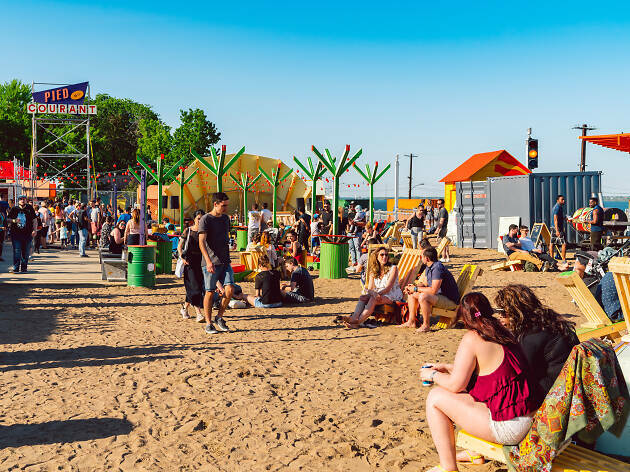 Don’t miss: Putting it all on black at the Montreal Casino, and dancing to electronic music at Piknic Electronik—held on Sundays from May until September—or Île Soniq in August. What is it? 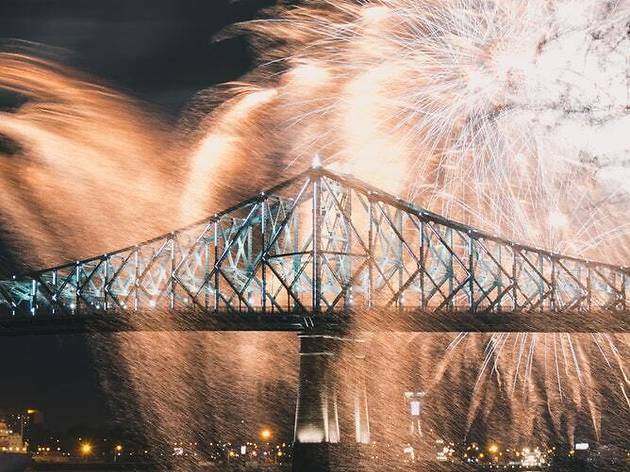 The bridge connecting the Island of Montreal to the city of Longueuil is lit by a chromatic calendar of 365 colours. Why go? Best to get up close and personal when admiring this bridge’s decorative lighting, attached to mark the 150th anniversary of Canada and the 375th anniversary of Montreal. 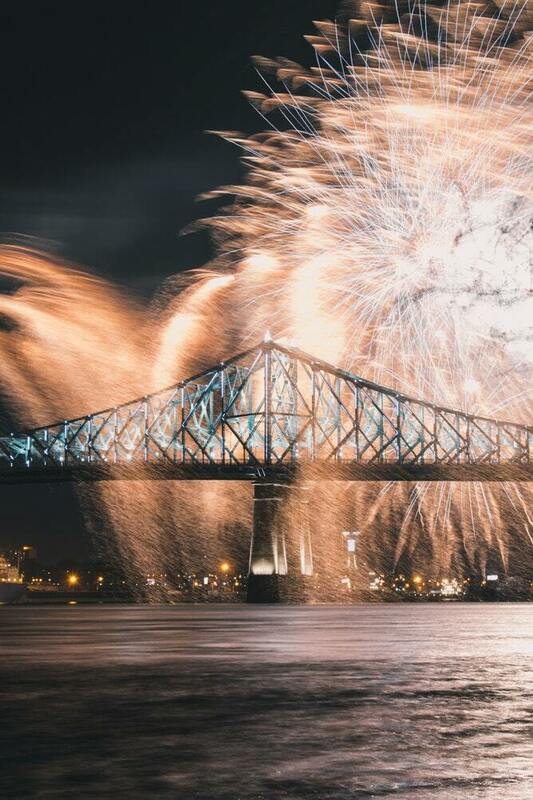 It’s also one of the best spots, whether you’re on it or around it, to view the Montreal Fireworks Festival—the largest of its kind in the world which first began in 1985. Don’t miss: Go all out and climb aboard a four-hour long dinner cruise to really enjoy the lights above the river in style. What is it? A walk along the stretch of the Main or its accompanying alleyways to view graffiti from artists both raw and recognized. Why go? 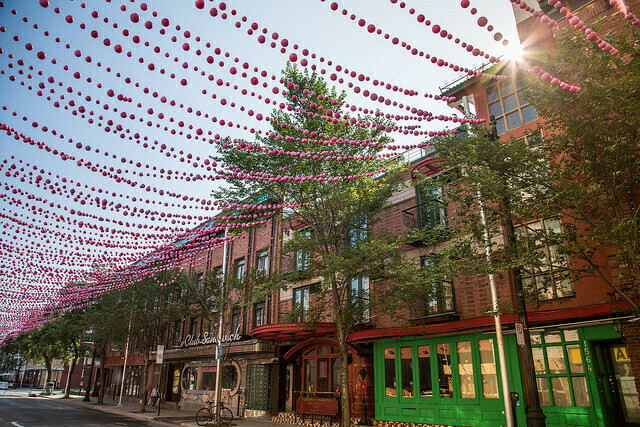 Come summer, the core stretch of Saint-Laurent Boulevard between Maisonneuve Boulevard to the south and Saint-Viateur to the north sees a wide array of artists throwing up fresh paint while spectators enjoy street fairs, food, and expanded bar terraces. The result is large artistic pieces that remain for the rest of the year. Don’t miss: Keep an eye out for local talent like Miss Me or Stikki Peaches, and focus on checking out Mural Festival in June and Under Pressure in August. What is it? 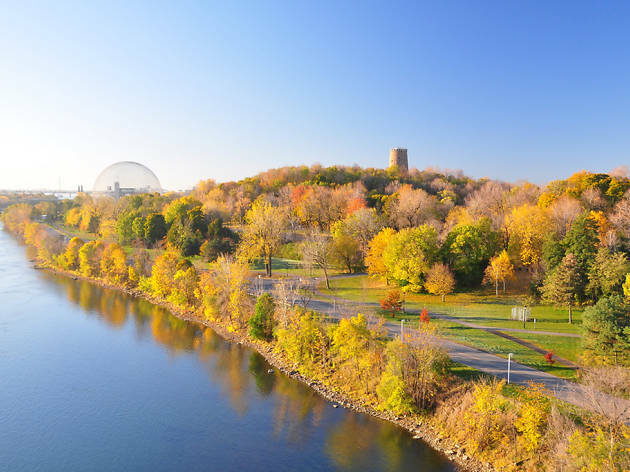 A local tradition, this outdoor festival happens every Sunday during summers around the Georges-Étienne Cartier Monument, stretching up the base of Mount Royal. Why go? From May to September, the area around the Goddess of Liberty statue becomes a massive free-wheeling drum circle and cloud of pot smoke, while the surrounding stretches of grass see the likes of slackliners, live action role-playing battles, eclectic individuals and just a whole lot of good vibes. Everyone’s invited to join in on the beat. Don’t miss: Take home a memento from one of the vendors, and sample the under-the-table food you’ll find for sale to accompany that six-pack you should’ve brought. What is it? 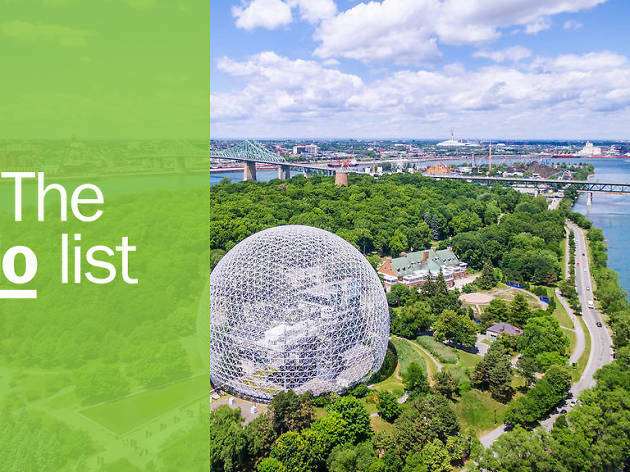 A 60-metre tall observation wheel that’s kaleidoscopically lit and equipped with climate-controlled booths running throughout the year, offering a full view of Old Montreal and downtown. Why go? 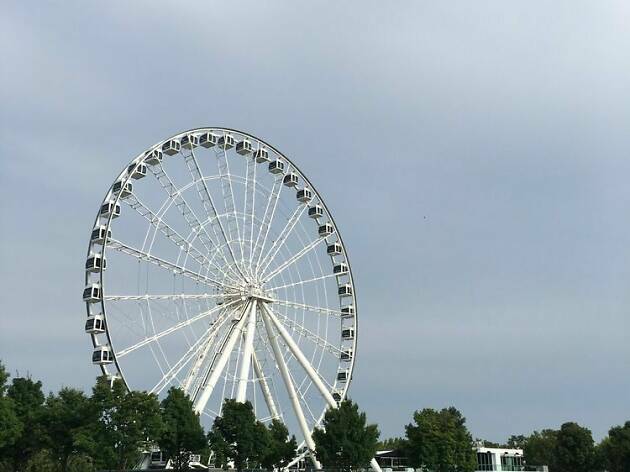 Also referred to as the Montreal Observation Wheel, La Grand Roue was set up in Old Montreal to commemorate the city’s 375th anniversary. 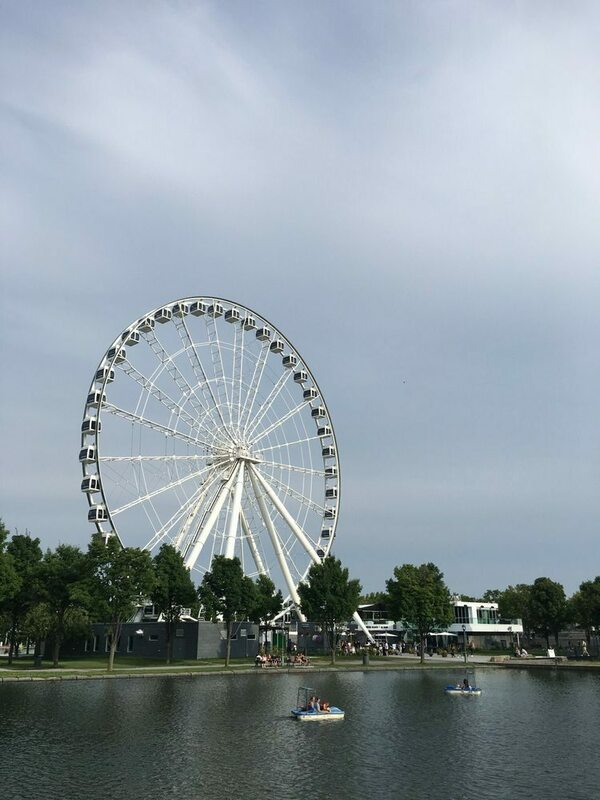 Fashioned after similar structures found in Chicago and Hong Kong, the panoramic views aboard this illuminated wheel make this a picturesque attraction for tourists and a romantic evening for locals. Don’t miss: Climbing aboard for the day and night package to get two alternate views of the city, or early bird specials that cost half the price. What is it? 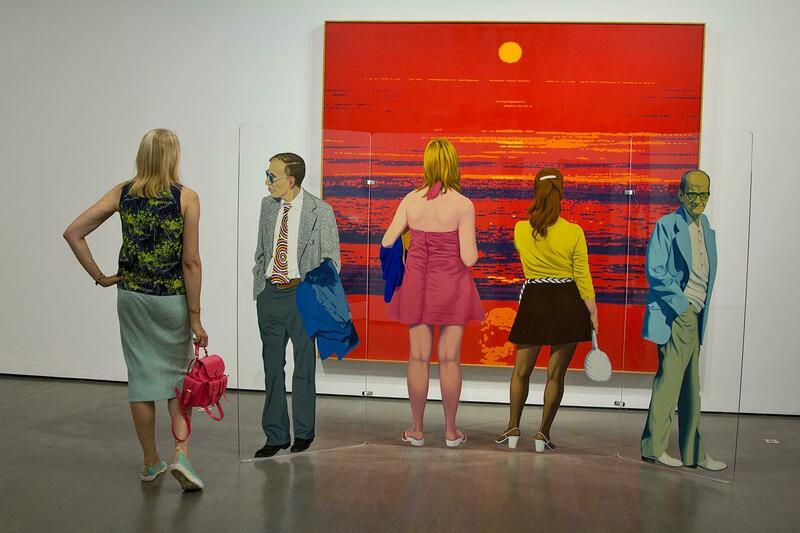 Montreal’s premier destination for curated collections of contemporary art numbering at over 7,000 pieces by over 1,500 artists both national and international. Why go? 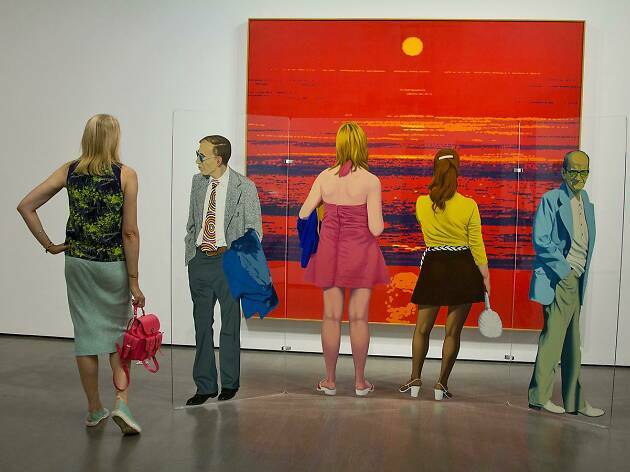 Founded in 1964, the MAC is Canada's first contemporary art museum and combines exhibits of both visual and performing arts regularly. It’s since become a gathering place for locals and tourists to check out art both provocative and contemplative, in addition to lectures, workshops, and fresh new exhibits every single year. Don’t miss: Visiting this museum during Montreal’s annual Nuit Blanche festival for the Nocturne, with DJ and VJ performances, art workshops, and temporary installations. What is it? 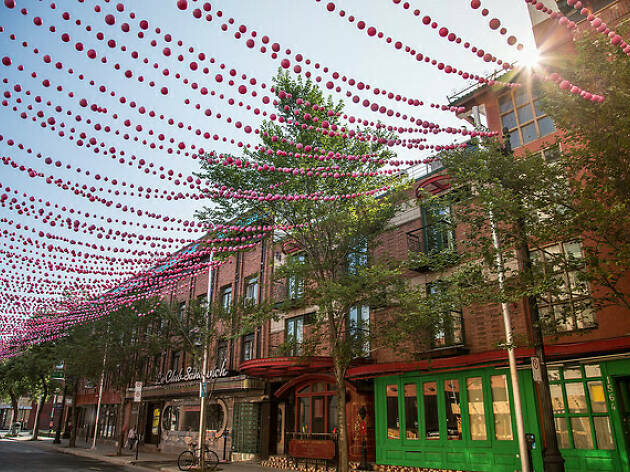 From May to September, Montreal’s own Gay Village becomes one long pedestrian street decorated in a long rainbow of decorations. Why go? 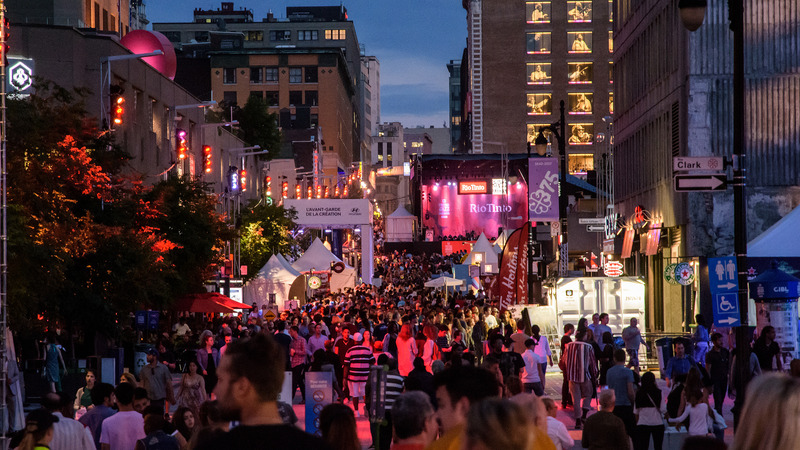 The Gay Village has its perennial share of businesses worth visiting in the form of bars, restaurants and clubs like the drag queen performance venue Cabaret Mado or Club Unity, but the summerier side of its calendar features an excess of festivals, activities and art installations to explore underneath a colourful canopy. Don’t miss: Start by grabbing a drink at the Jardins Gamelin outdoor beer garden, followed by grabbing a bottle of red at a dépanneur to enjoy with a meal at O’Thym. What is it? A ferryboat that’s been repurposed as one of the finest spas in town, giving a great view of Old Port and Habitat 67 in the distance from relaxing quarters. Why go? Billed as a ‘spa on the water’, this multi-tiered floating building may not physically unmoor and drift down the river, but a day spent there sure feels like it. There’s a Nordic water circuit to enjoy throughout the year with saunas and baths, and gardens for lounging about in the summer. Don’t miss: Springing for any one of its massage or beauty treatments, followed by wining and dining at its onboard restaurant La Traversée. What is it? 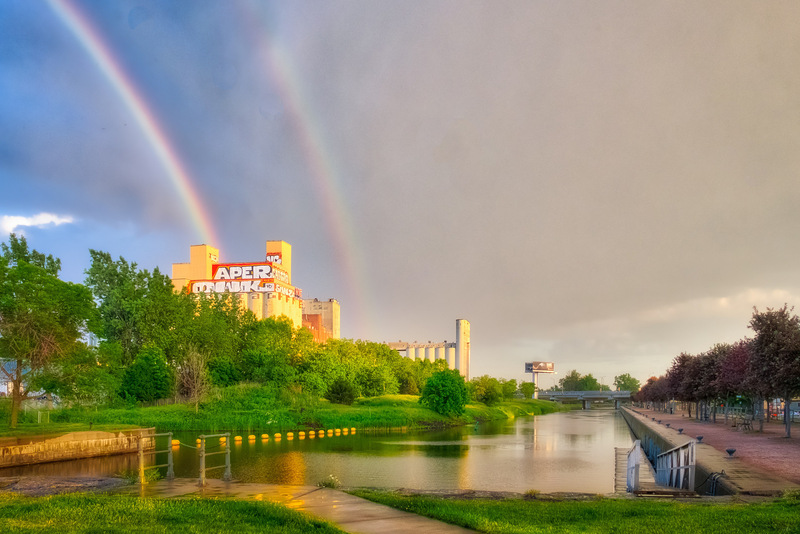 A national historic site, this 14.5-kilometre long canal runs through the southwestern side of the Island of Montreal, from Old Port to Lake Saint-Louis. Why go? Each section of the canal yields different things to see and do by land or by water. 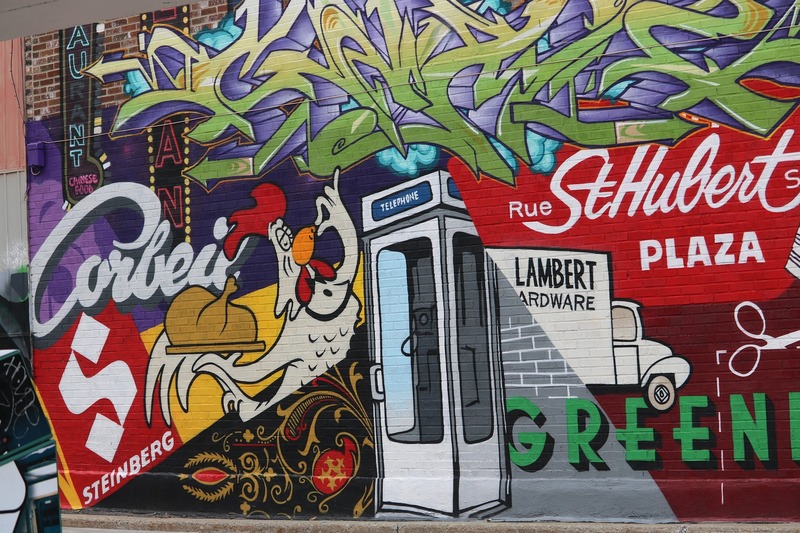 One of Montreal’s more panoptic bike trails, it extends from the Visitors Centre in the borough of Lachine for history to popping into the neighbourhood of Saint-Henri for lunch, followed by a scenic evening in Old Montreal. Don’t miss: The swan paddleboats and electric boats from H20 Adventures make for a kitsch adventure. Otherwise there’s always getting blotto at McAuslan Brewing’s Terrasse St-Ambroise beer garden. What is it? 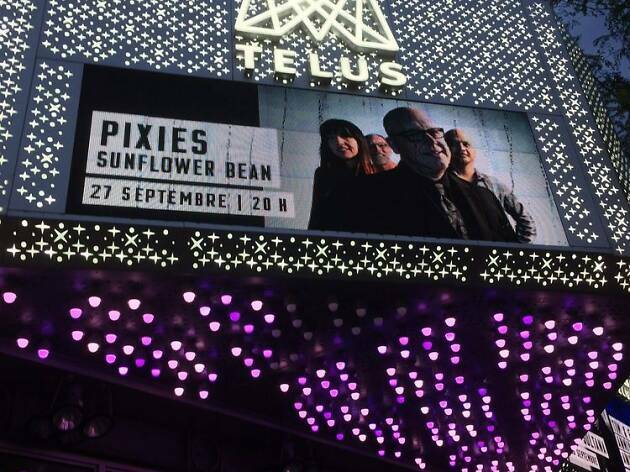 Montreal’s a top city for exploring both local musical acts and seeing international extravaganzas, and M Telus is the spot to see them perform. Why go? First an indoor skating rink in the 19th century, then a cinema, then a theatre, the building that houses M Telus has been delivering entertainment for over a century. 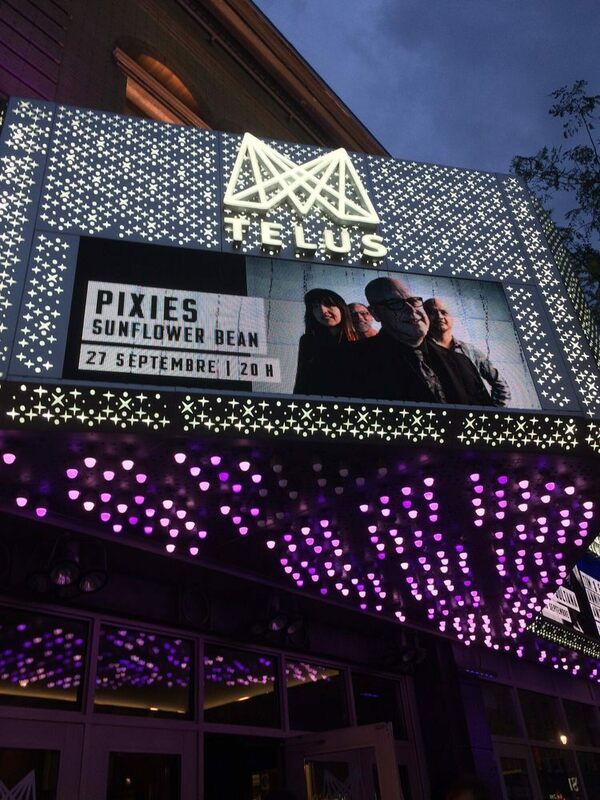 Known to locals as Metropolis, this is the site for some of Montreal’s biggest acts (besides the Corona Theatre) with none of that stadium show feel. Don’t miss: Grabbing some pre-drinks in the form of brews at Foufounes Électriques or cocktails at Taverne Midway, topped off with hot dogs from Montreal Pool Room (sorry, no pool tables). What is it? 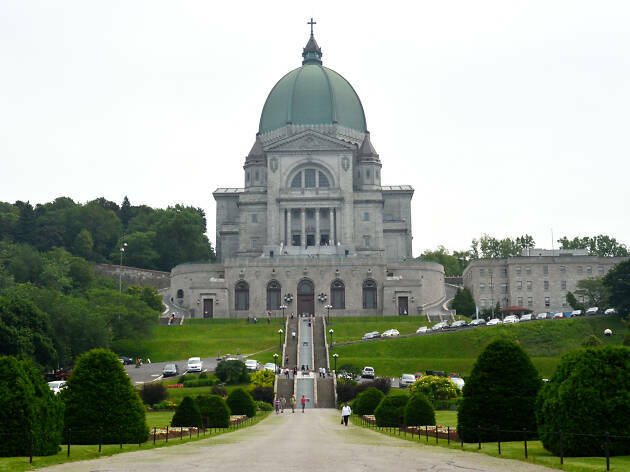 The largest church in Canada sporting one of the largest domes of its kind in the world, Saint Joseph’s Oratory is for those in search of nature, culture and spirituality. Why go? Originally constructed in 1904 as a small chapel, growing congregations necessitated its current size, which was completed in 1967. It has a reliquary preserving the heart of Saint André of Montreal, a local whose faith was believed capable of performing miraculous healing of the crippled, and the Grand Beckerath Organ with pipes reaching as long as 32 feet. Don’t miss: Checking out the thousands of canes and crutches of those Brother André has been said to have healed, or hearing one of the Oratory’s public organ performances. What is it? The original neighbourhood and cultural center jampacked with restaurants, shops, and bars surrounding the small pedestrian-only strip of De la Gauchetière. Why go? What began as a collection of laundromats 1877 has grown into an area with distinctive character and feel seldom found elsewhere in the city. There are Sunday dim sum brunches by the cartload at Ruby Rouge, flossed treats from Dragon’s Beard Candy, the culinary performances of Nouilles de Lan Zhou and bamboo steamers brimming with dumplings at Qing Hua. Don’t miss: Catching your breath at the indoor koi pond located inside the pagoda-topped Holiday Inn before heading to Chinatown West in Concordia University’s downtown campus for more. What is it? The city’s go-to district for entertainment and cultural events spaced out across eight areas, and the main site for some of the city’s most famous festivals. Why go? 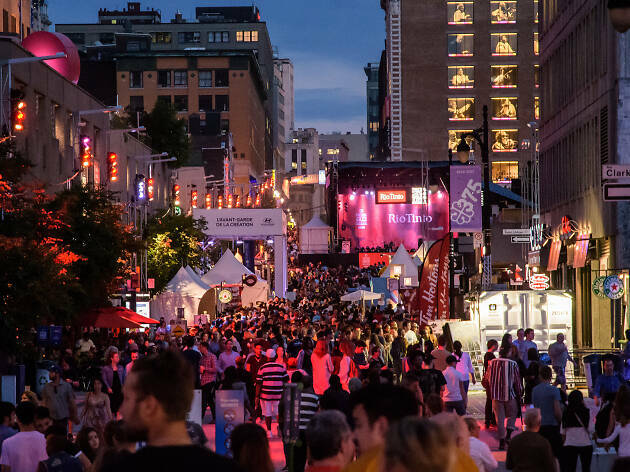 With a summer roster of Montreal’s biggest events like the Just for Laughs comedy festival and the International Jazz Festival (the world’s largest), plus regularly scheduled public art, this area prides itself on being the center of attention most days of the week. 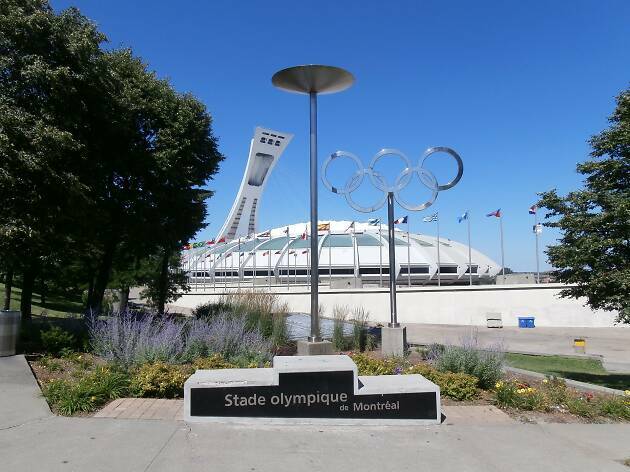 It’s also where the dapper performances of the Montreal Symphony Orchestra and Montreal Opera can be found. 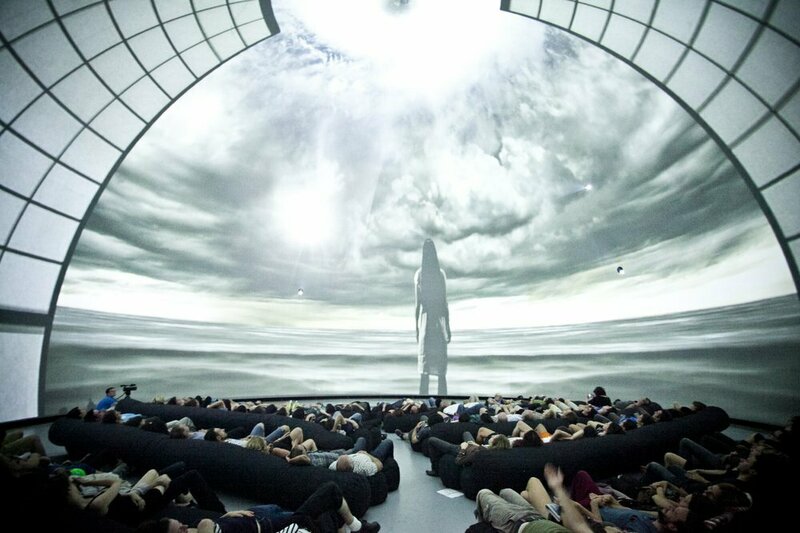 Don’t miss: The light and music-based art installations of Luminothérapie help with winter doldrums, while screenings at the Cinémathèque Québécoise never fail to satisfy. What is it? 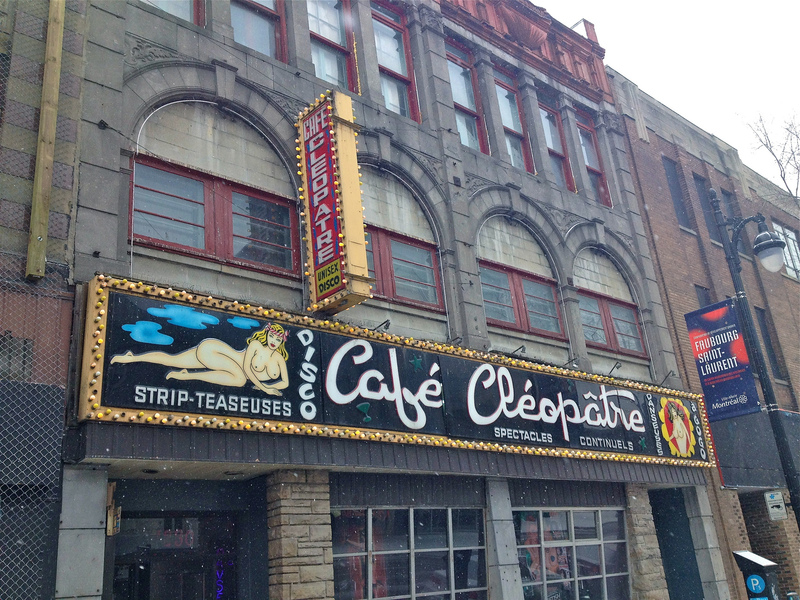 A prime example of Montreal’s neon-soaked history of exotic dancers on the ground floor, with an upstairs cabaret featuring burlesque, vaudeville and drag shows. Why go? One of the few businesses to remain intact since Montreal’s red-light district was given a major facelift, Café Cléopâtre is part of the reason why this city was formerly known as the Paris of North America. Its clientele generally skews more local, except when its space hosts the likes of Just for Laughs events and the Montreal Fetish Weekend. Don’t miss: The first Saturday of every month has Bareoke, combining karaoke with stripping by anyone who wants to participate. It’s more wholesome than it sounds with a respectful and fun vibe. What is it? 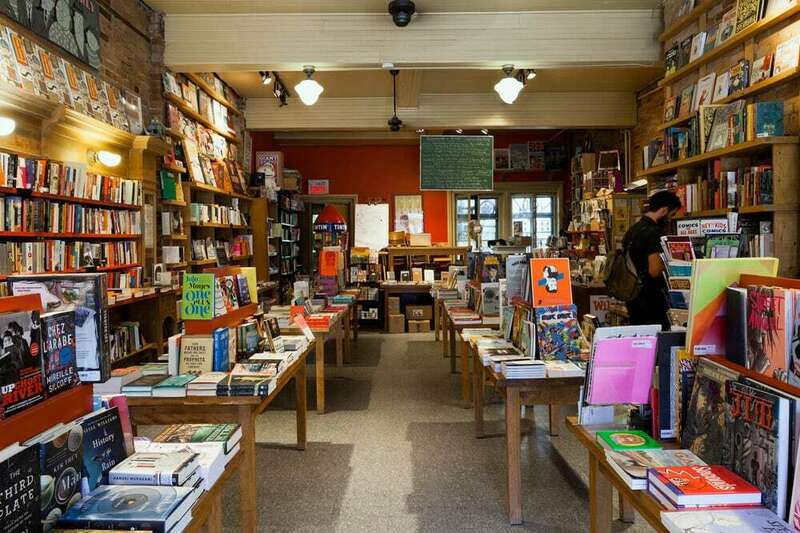 A Mile End bookstore belonging to a Canadian publishing company specializing in comics and graphic novels by authors both international and national. Why go? Drawn and Quarterly has been an publisher of comics since 1990. 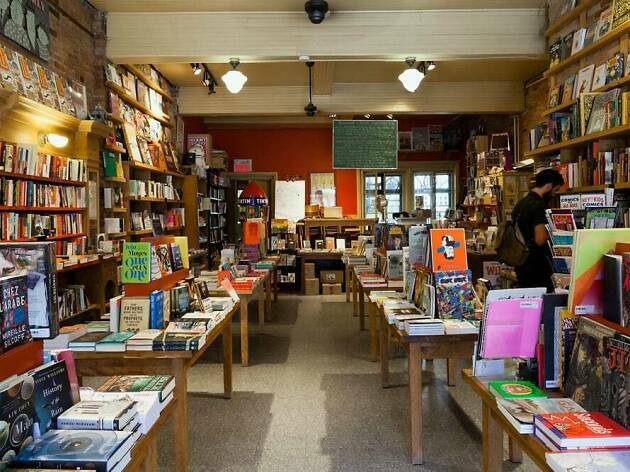 Its popularity was followed up by the creation of this bookstore in 2007 and has since grown into a gathering place of the city’s literati and organizes big name book launches. It’s not just about comics either, as the store curates solid selections both in fiction and non-fiction. Don’t miss: Regularly scheduled readings by authors that make for high-spirited events, but May is the month to visit for Free Comic Book Day or the Montreal Comic Arts Festival. 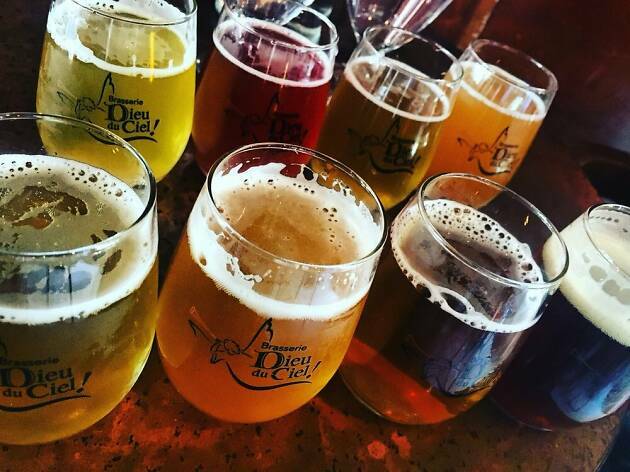 Sip on craft brews from Dieu du Ciel! What is it? A homegrown microbrewery specializing in tasty beers that are both traditional and experimental, and favoured by locals and tourists alike. Why go? There are a lot of spots producing choice craft brews in Montreal these days, but Dieu du Ciel! is generally the first on everyone’s tip of the tongue for its ability to produce a wide spectrum of bubbling pints. With its running chalkboard of concoctions, it attracts long lines and packed tables no matter the season, but the wait is worth it. Don’t miss: Either grabbing a bottle of its set-in-stone pantheon of famous recipes to any exploratory recipe that incorporates fruits, flowers, spices or sweets. What is it? 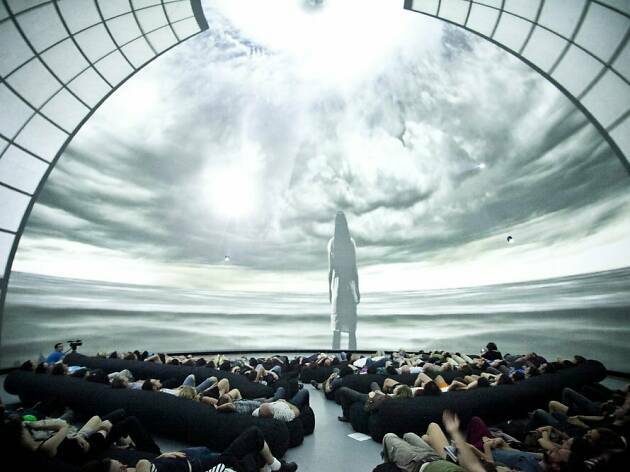 A 360-degree spherical projection screen providing wild audio-visual presentations, films, dance parties and games are presented in a fascinatingly conceptual venue. Why go? Part of the complex that’s home to the Society for Arts and Technology, an arts and research centre focused on immersive technologies, the Satosphère is the first of its kind for Montreal and beyond. Equipped with 157 speakers and regular programming that sees the likes of virtual reality, VJs and DJs, it’s an experience that’s more than unique. Don’t miss: Anything else on the third floor it occupies, including an outdoor terrace and the Foodlab, a farm-to-table restaurant with cocktails and great biodynamic wine. What is it? 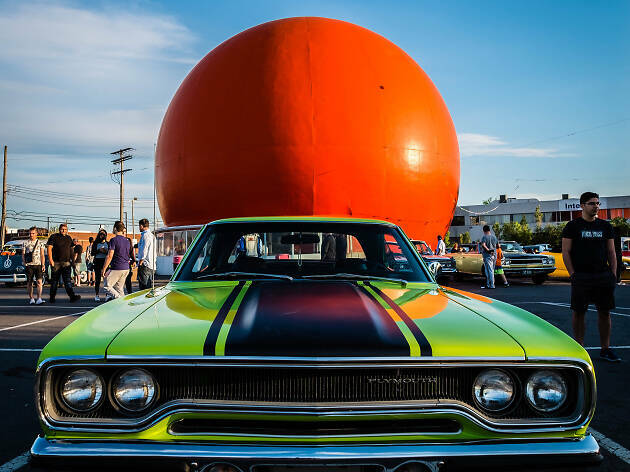 A popular roadside attraction and fast food restaurant in Côte-des-Neiges shaped like a giant orange, serving a distinctively creamy orange juice drink. Why go? 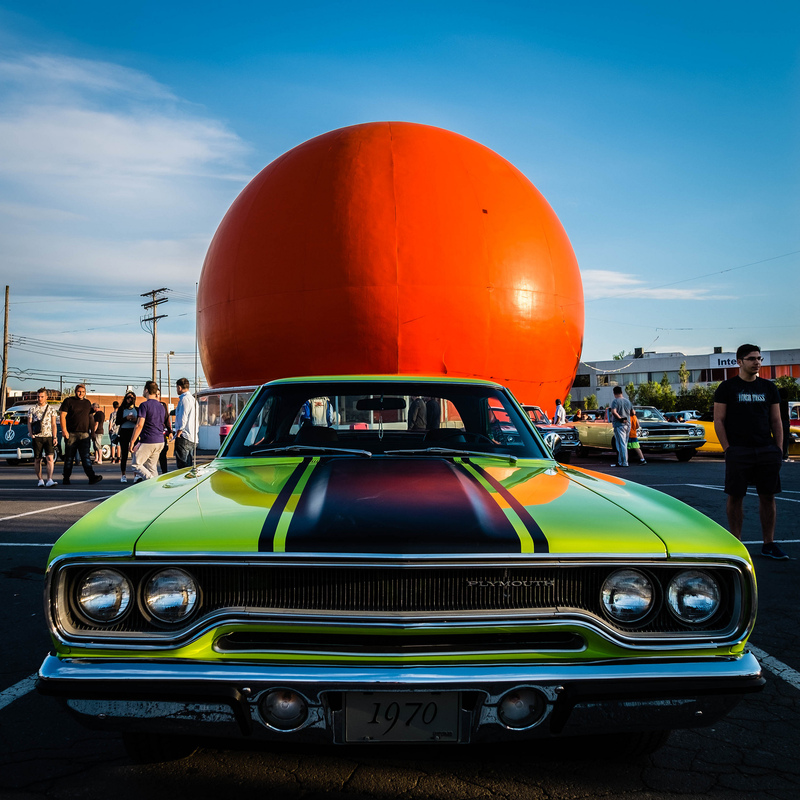 A casse-croûte dating back to the early 1930s, Gibeau Orange Julep is a popular pitstop for motorists pining for its beverage and a bite of its hot dogs and poutine. 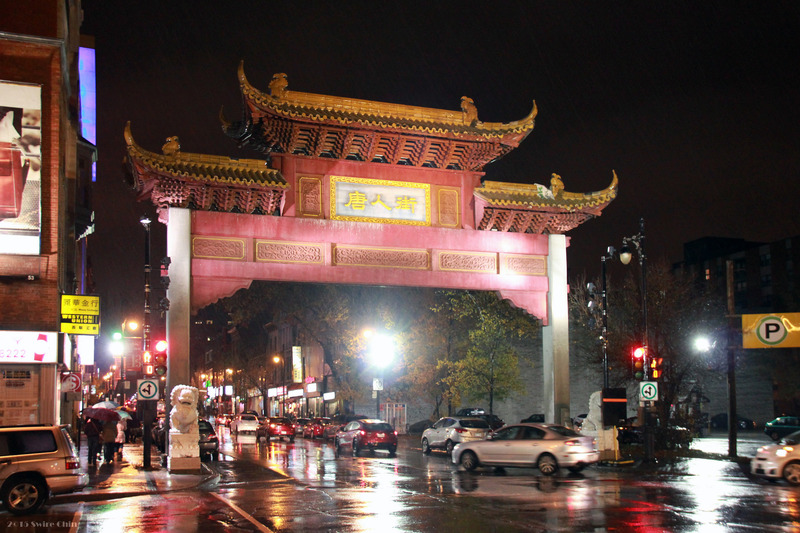 Once a popular chain in Montreal, this location is now the only one that remains, with hours that run late into the night during warmer months. Don’t miss: Wednesdays from May to August, when antique car aficionados roll up to show off their babies. With the backdrop of the orange globe, it’s a popular destination for Instagrammers. What is it? 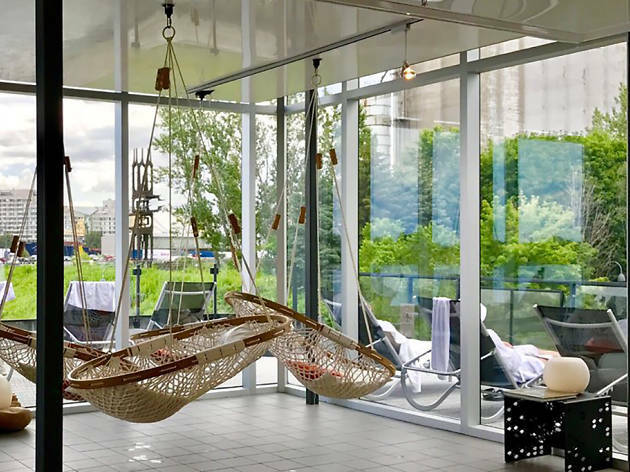 A public space that has been reinvented as an urban living lab where bars, chefs, musicians and the public dip their toes in its sand and swing from its hammocks. Why go? 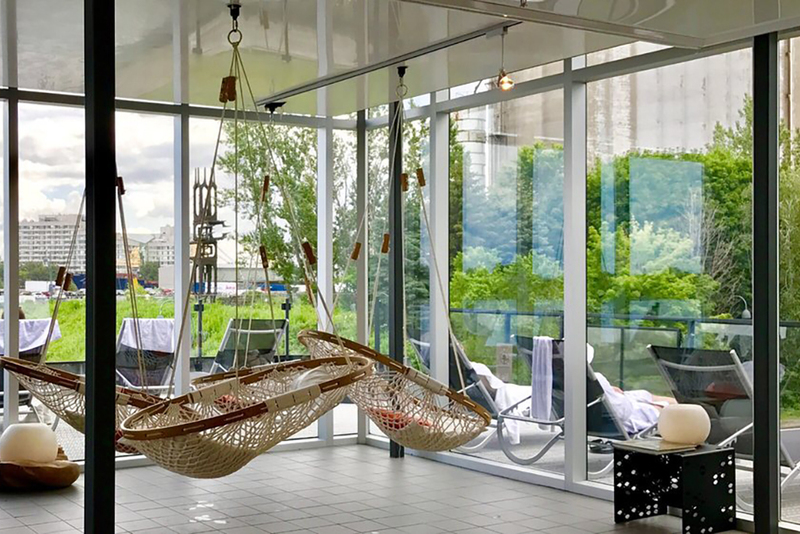 Located on the edge of the Saint Lawrence River in the Hochelaga-Maisonneuve neighbourhood, this space makes a point of hosting family-friendly events and parties every weekend. 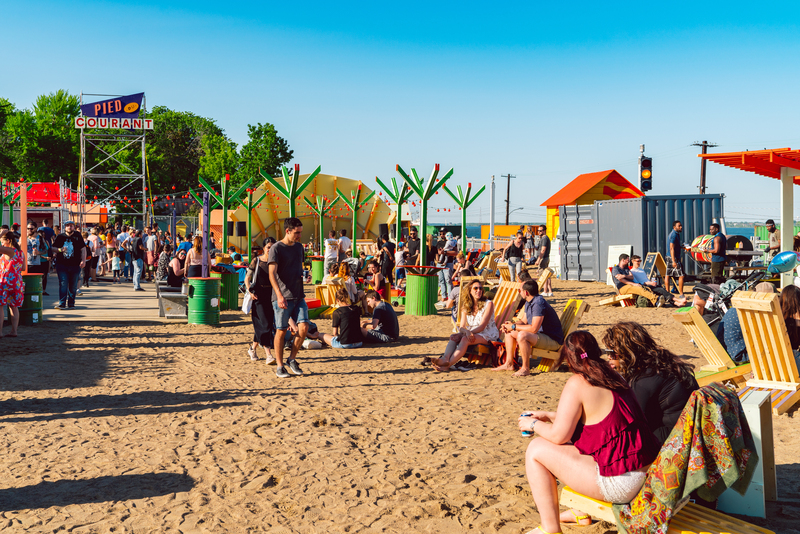 It’s a series of stalls for bars and cantinas, green spaces and beach parties put together from shipping containers, strung lights and reclaimed materials, giving the feel of an upscaled favela. Don’t miss: Whenever its beer garden is hosting live music performances, and when it opens (occasionally on exception) for the International Fireworks Festival. Discover the best restaurants in Montreal with Time Out’s curated list of what's good eating, from casual snacks to high-end fine dining. These are the best restaurants in Montreal right now.